William Shaw, one of my favourite authors, has graciously consented to an interview! He shares some of his thoughts on the writing process, his characters and setting, AND his new DS Cupidi novel due out in May 2019, “Deadland“. F: You’ve been making a living by the written word for some time now, first as a music journalist and now as a novelist. What first put you on the writing path? WS: I remember sitting at my parent’s moss green Olivetti typewriter at the age of about eight, trying to write a play. Doesn’t EVERYONE do that? I think as long as I was reading I was wondering how people did it, because it’s so mysterious, that ability to conjure a world from a page. When I was in my twenties I would literally type out sections of books I liked to try and see if I could understand how it felt to type them. F. Ha! A book nerd after my own heart! F: Music is also a huge part of your life. You play music with Brighton Ceilidh Collective. Can you tell us a little bit more about that? WS: Ha! I am the worst musician in Brighton Ceilidh Collective, but it’s a lot of fun; I play bad mandolin and even worse fiddle, but I get to play with some wonderful musicians. Ceilidh is kind of folk-dance stuff. I think it’s a great modern urban form. You dance with lots of people you don’t know in a really nice, safe way. And you can be hopeless at it and still have fun. We started five years ago this spring, playing ceilidhs in Brighton and now play them all over the place and gig most weeks somewhere, and end up doing a lot of weddings in the summer. On the one hand it’s great fun being part of celebratory events. Last summer we did children’s writer Julia Donaldson’s birthday. On the other hand it’s really good to do something with the other part of your brain that you don’t use when writing. F: What made you decide to set your most recent novels in Dungeness, Kent? Do you have a personal attachment to the place, or is it just a spot you visited? WS: I’d been there a few times, once for the funeral of a friend, whose ashes were scattered in one of the gardens there. I’d been looking for a place which could be a character in the book and it’s about fifty miles from where I live – but like nowhere else in the South East of England. I love the idea of small wooden shacks. I own one myself and go and write there sometimes, but it’s not in Dungeness, it’s in Devon. F: D.S. Alexandra Cupidi is such a compelling character. Brilliant at her job, yet impulsive, and driven. What made you decide on a female protagonist, and is it difficult to write from a female prospective? WS: Is it difficult? God yes! I was very anxious about writing from a female perspective but having written four books from a male perspective – with a fifth planned – I really wanted to try something else. I had a lot of help from fellow writers, especially Elly Griffiths, Lesley Thomson and Susan Wilkins who gave me a lot of encouragement and suggested I work on the scenes in which women speak to women when men aren’t there. F. You’ve mentioned two of my favourite novelists here. I love that you’ve collaborated with them. F: Cupidi’s bright and solitary daughter, Zoe, seems to have demons of her own. Cupidi is concerned for her emotional state, yet she seems to find it impossible to connect with her on a meaningful level. Do you think most parents have this rift in their relationships with teenage children? WS: I think it’s a very common experience and we’re often very bad parents to teenagers because we are still trying to get the same kind of unconditional love out of them that we had when they were younger. And they are learning something important; that we’re fallible and a bit rubbish sometimes, just like they are. And some teenagers just seem so tormented by hormonal changes it’s tough on parents and children. I wanted Cupidi to not be very good at this stuff. She was never the perfect mother, and she can’t handle the illogicality of her teenage daughter. I love Zoë. She’s so awkward and clever at the same time. F: I so enjoyed the character of William South and have it on good authority that he might feature in the next DS Cupidi novel coming out in May. Can you divulge anything without spoiling the enjoyment of “Deadland”? WS: I’ve had so much grief from readers about what happened to him at the end of The Birdwatcher! But it had to happen. So he comes back in Deadland after two years in a tough, tough place and he’s changed. He’s much darker for a while. But one of the themes in Deadland is William South coming home, and how he finally starts to find himself again. F. I can hardly wait to meet up with him again in “Deadland”. F: Do you have plans for many more DS Cupidi novels? WS: Yes. I’m a third of the way through one right now. It’s more like The Birdwatcher in that there is a lot of natural history in it. I’ve been spending time with badger experts if that’s any clue… I would love to be able to write as many as I can. F: Writers are also avid readers. What type of book do you like to read for pleasure? WS: All sorts. I’ve just been reading Weatherland by Alexandra Harris, which is a great book to pick up and put down again between reading the piles of crime fiction. It’s about British weather as represented by writers over the centuries. Sounds much heavier than it is. Before that, the last non-crime I read was Dark Water, a novel about mental illness set in the 19th century by Elizabeth Lowry which was great. I do read a lot of crime though. I just finished Douglas Lindsay’s Song of The Dead which I really enjoyed. I recently caught up with Jo Spain’s The Confession, which really sparkled but sometimes reading crime has its disadvantages, especially when you are half way through a manuscript. I read Elly Griffiths’ brilliantly beguiling Stranger Diaries just recently and got caught up thinking how did she do that? When really I should just be cracking on with what I’m doing. F. I’ve recently read “The Stranger Diaries” and really enjoyed it. On your recommendation, I’m moving “Song of the Dead” and “The Confession” further up my TBR queue. F: If you could sit and enjoy a chat and a drink with another novelist – who would it be? WS: I’d like to have a chat with Ann Cleeves who I’ve only said hello to in brief passing in corridors. I think she’s created a great world. In terms of dead writers, I’d love to have met Nicolas Freeling, who very much set the bar for me on what crime fiction should be. He’s the British writer who wrote the Van Der Valk series – the books were MUCH better than the TV series. F. Ohhh. I am a huge fan of Ann Cleeves. I hope you get a chance to have that chat someday soon. F: What current novelist do you feel is underrated or deserves to be more well known? WS: I think Lesley Thomson and Susan Wilkins both deserve to be huge. Or huger. F. I’ve read the first of Lesley Thomson’s series and am very much looking forward to the rest of the series. I’ve never read Susan Wilkins – thanks for the recommendation. WS: I’d give Douglas Lindsay’s Song of The Dead a go. It might annoy a lot of crime readers because it’s quite morose and it kind of breaks the rules, but it’s stayed with me in the days after reading it, which is a good sign, no? Ask me next week and I’ll probably say The Stone Circle which I’m about to dive into. F: Do you have family and/or friends proof-read your novel, or did you depend on your publisher’s editorial staff? WS: My friend Paul proof read my first and I realised that that’s a really awful thing to ask a friend to do, so I know leave that to the editorial staff. F: Do you read all the reviews of your work? 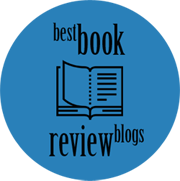 How important are reviews to a novelist? WS: I do try to, however harsh they are. 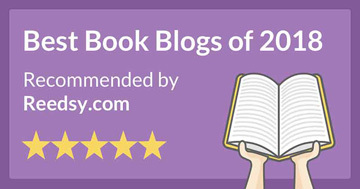 Reviews are what keep books alive in this social media age. I’m grateful to every one. Apart from the ones that complain about Amazon shipping obviously. WS: When it comes up to contract renegotiation time I get anxious. I don’t like that time because you have to be hard nosed and professional; things I hate being. F: Your Breen & Tozer series has enjoyed success. Now you are embarking on the DS Cupidi series. Do you find the prospect of maintaining a series daunting? WS: Yes I do… I think creating a landscape that you’ve going have to write into for several years creates all kind of practical problems. Have you left space for characters to develop? Are they still going to be interesting by book four? Am I going to run out of interesting places where things can happen? WS: Book covers have to do so much work these days! So I do have plenty of input but I’ve realised the most important input comes from the sales teams who feed back and let you know whether they they can or can’t get behind a book cover when they walk into a shop or a meeting with it. The market is so different in the US and the UK and demands differ so hugely. But I do love the UK ones. The Salt Lane paperback cover – just out in the UK – sells the book brilliantly, I think, because a book covers should really suggest that there’s a big story going on in there and that one does so well. F: I have long been a fan of the British police procedural – yet I live in Canada. (My excuse is that my Mum was a war-bride from Lincolnshire). Do you find you have as many fans in North America as in Britain? WS: I do seem to have a fair number of American fans, yes. I think they mostly love the Breen and Tozer series, because that’s about a bit of the UK they recognise or have strong emotions about – London in the sixties. F: How long does it normally take you to write a book from start to finish? WS: I give myself five months. And then discover it takes seven. F: I’ve recently retired from a library career and have known for some time that mysteries/crime thrillers are some of the most read genres of fiction. Why do you think crime fiction is so popular? Why did YOU choose this genre? WS: Crime fiction chose me, really. I had written a couple of more conventional literary fiction books that never saw the light of day. When I embarked on a third I realised it was crime fiction that I was writing and I felt a huge weight lifting because I knew what I was supposed to be doing. And it’s taken me a while to realise how great a place that is for me. Crime fiction is at a really exciting moment in its development now. I think it’s really the genre that’s making all the moves. It’s not just that it’s gripping; the fact that it has to exist in a place between the real world and our fears about the real world gives it a power that I don’t think other literary forms have at the moment. WS: You have to entertain, don’t you? That is the most important thing. But I love the fact that we can also use controversies from the world around us as the subject matter for our entertainment. I think it would be pompous for any crime writer to claim the ability to be didactic, but a crime novel is a great place to start asking questions. Connect with William Shaw on Twitter . HE also has a contact page on his website: http://williamshaw.com/contact/ OR feel free to follow him on his Facebook page. Thanks SO much William! It has been wonderful having you visit my blog. I urge all mystery lovers to read your novels. I’m VERY much looking forward to reading your next title in the DS Alexandra Cupidi series. And for those who haven’t seen it yet, here is the beautiful cover for “Deadland“. 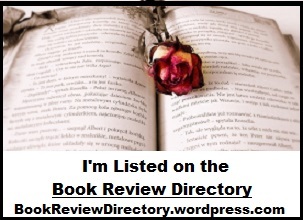 This entry was posted in author interviews, Authors and tagged authors. Bookmark the permalink. Great interview Lynne. This is another author I have not read. I enjoyed reading both your questions and William Shaw’s responses. It is always interesting to learn about the author behind the words. I am going to have to check this author out. I will look to start with The Birdwatcher. I’m so glad Carla. “The Birdwatcher” was one of my favourite reads of 2018. Well, that certainly clinches it then. I completely agree with you Jee Wan. I would say that the UK covers are more appealing at least 90% of the time. Oh my goodness, Lynne, what a treat that was, yeah? Excellent questions, great answers, and now I’ve got several more books to add to my TBR (or move up, as I think I have The Stone Circle)! This may sound weird, but the idea of interviewing an author terrifies me, so when I see these interviews, I always think, ‘How brave!’ In this kind of situation, I fear I’d absolutely freeze up and forget how to talk. Was this a phone interview? Thanks so much for letting me know that you enjoyed this interview Myndi. To answer your question, NO it was not a phone interview. I compiled the questions and sent them off to Mr. Shaw in an email. He added his answers and emailed me back. I’ve done this several times with various authors and it seems to work well for them, and for me. Wonderful interview. I wasn’t familiar with this author’s work but his books seem to be right up my alley and are being added to my TBR list ASAP! Morning, Lynne. Enjoyed this interview. “I was very anxious about writing from a female perspective” — I’ve been wondering about this subject recently. Do female authors mostly have female leading characters? Do male authors mostly have male leading characters? I’m guessing that the answers are yes, but I’m not really sure. I think that the answer is yes Neil. Only a select company of brave authors will attempt to write from the perspective of the opposite gender. Imagine if you will, writing from your wife’s point of view. You might think you know her well enough to do that – BUT – would it be accurate enough to publish? This is a great series of questions. Very interesting! 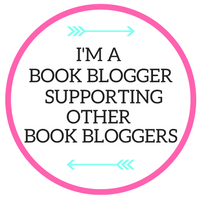 Adding Birdwatcher to my TBR.